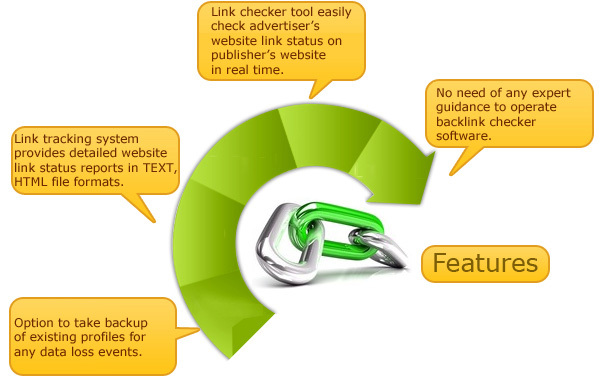 Backlink Checker Software provides facility to check advertiser’s website back link status on publisher’s website in real time. 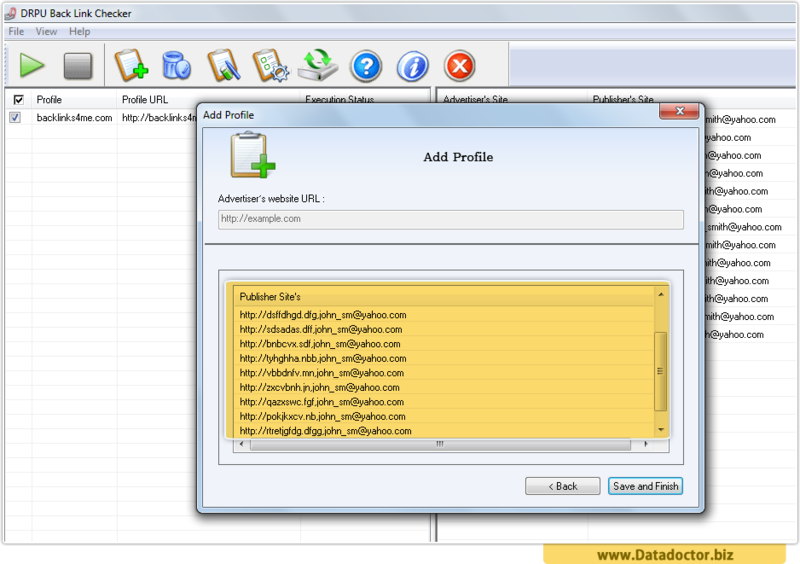 Link tracking utility can easily find back links from other website to your website. Site link checker system sends email alert to user if advertiser’s link not found. Link popularity checker enables to evaluate website performance on web and saves your valuable time when required to search website backlink status manually. Backlink checker program for SEO professionals and online business maker to monitor all reciprocal links of site useful in determining website popularity on global word web. 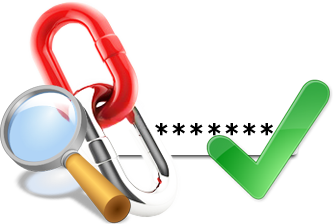 Automatic link checker speedily monitor your link exchange partners link building program in simplified way. Add advertiser's website URL and set import wizard option with text file or CSV file or Excel file and proceed to Next step. 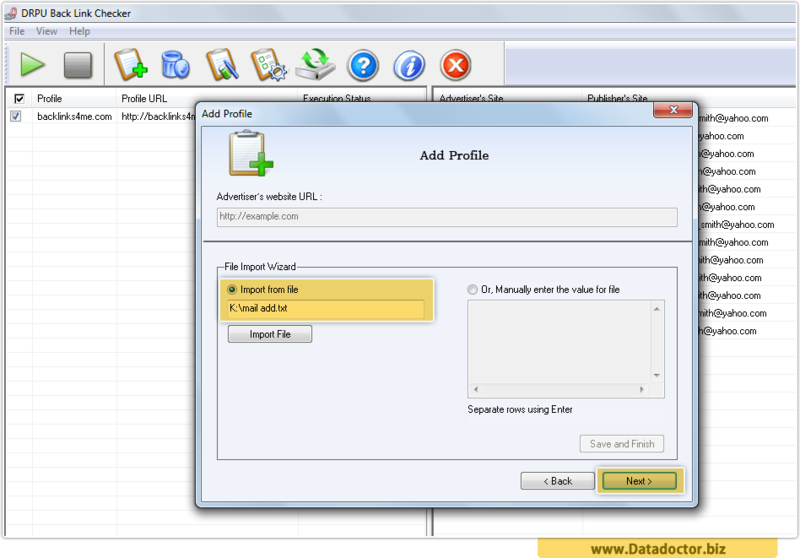 Import profile from file or enter the value manually for file to add profile on Advertiser’s website. Click on Next button to proceed. Wizard shows Publisher’s Sites list. Click on Save and Finish button. 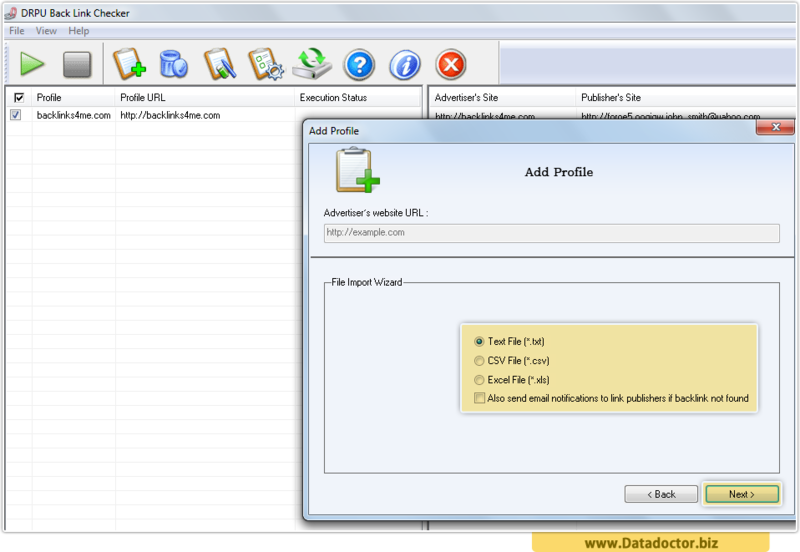 Select Profile from left panel and list of corresponding publisher’s site will display on right side of screen with all details.